Most pregnant women have a deficiency of DHA. The Plant DHA by Mamaearth is 100% vegetarian and healthy plant-based alternative to fish oils and other animal sources. It is free of contaminants and external impurities. It is vital for the brain and eye development of the foetus. It also supports in improving memory, building and maintaining healthy bones. It aids in maintenance of normal brain function throughout life. Algae omega in me is a natural source of essential fatty acids. Essential fatty acids support the healthy heart and the strengthen the immune system. It provides your body with the healthy fats it needs to increase joint flexibility. It also aids in cognitive development and function in infants. Explore the entire range of Omega Fatty Acids available on Nykaa. 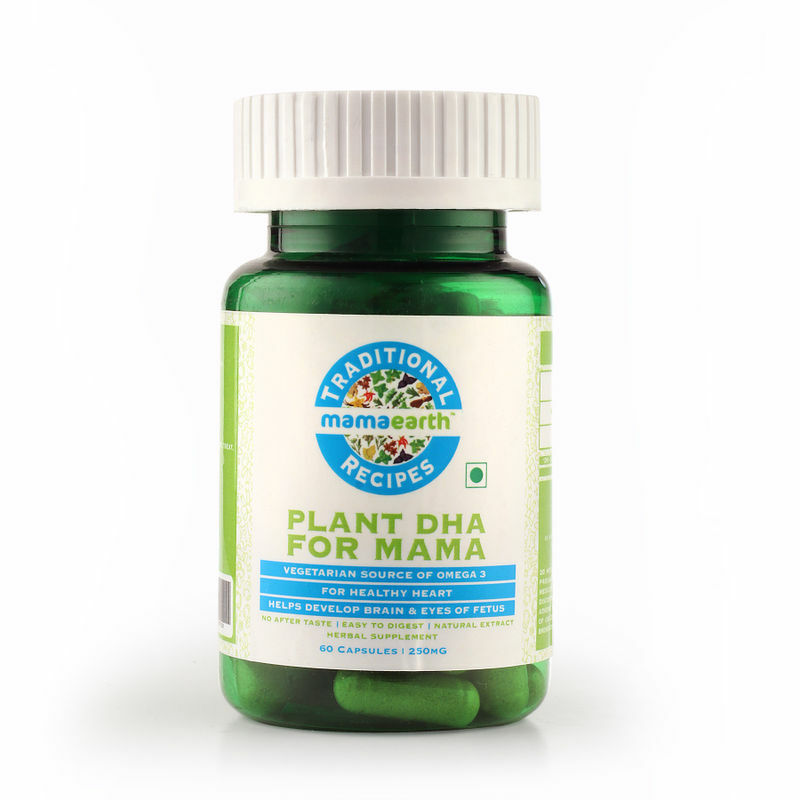 Shop more Mamaearth products here.You can browse through the complete world of Mamaearth Omega Fatty Acids .